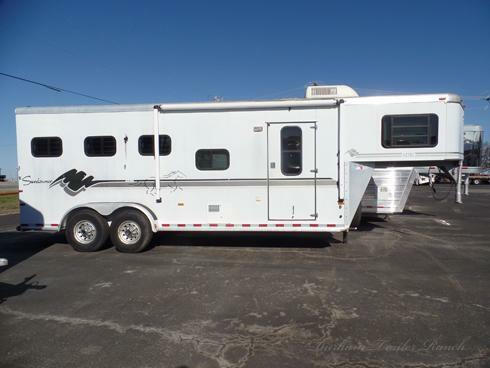 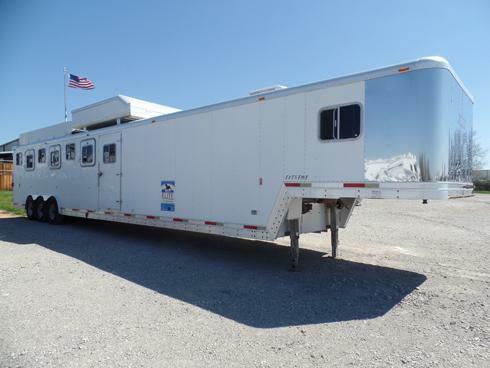 2001 Exiss Extreme 7 Horse Trailer. 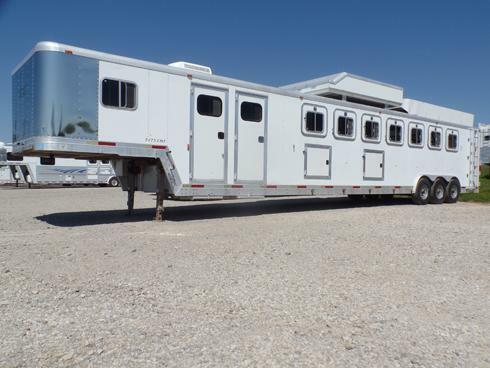 4' Front Dressing Room with Air Conditioner, Hat Rack, Boot Box, Clothes Rod, 12 Bridle Hooks, Carpeted, and 58" Deep Nose. 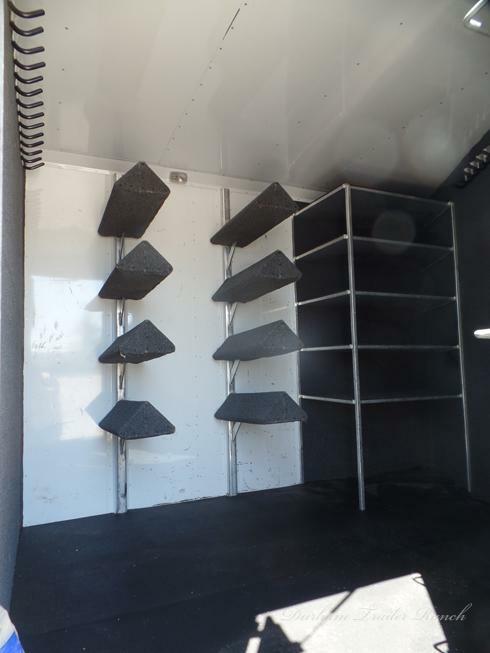 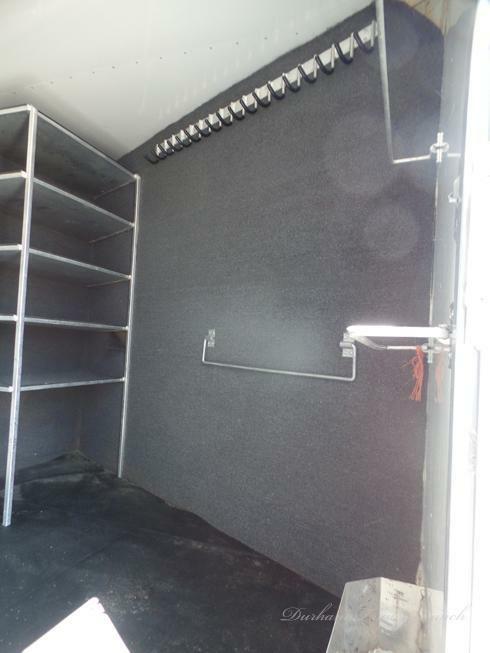 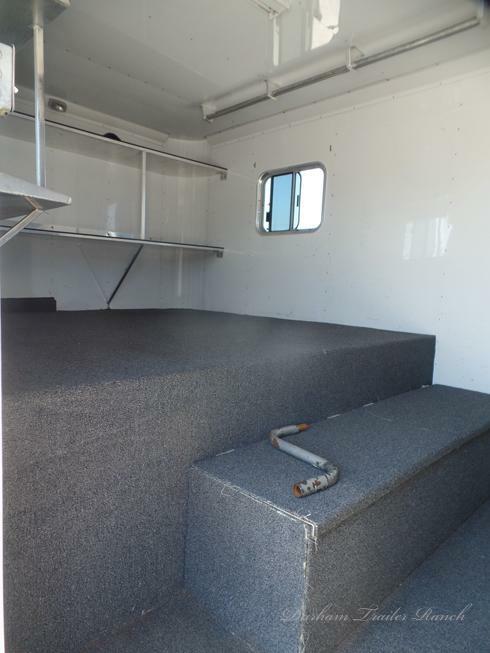 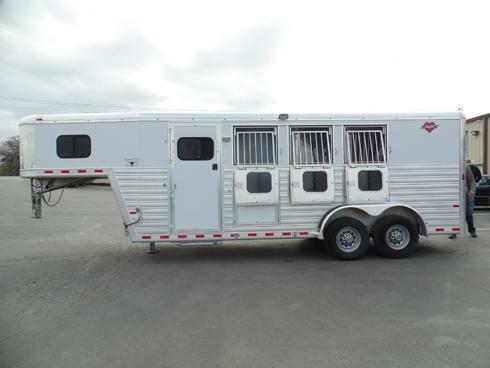 6' Mid Tack with Street Side Entry, 42 Bridle Hooks, Rubber Floor, Carpeted Walls, 5 Shelves Measuring 35" Long and 2' Deep, 8 Saddle Racks, and 3 Blanket Bars. 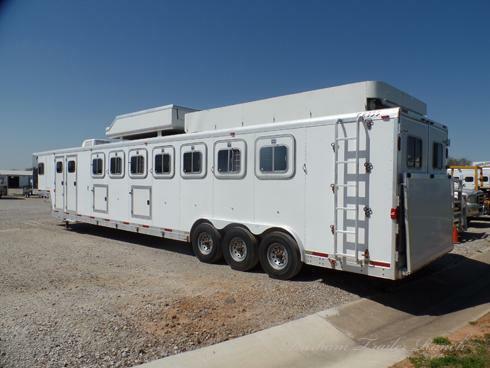 Full Rear Ramp, Drop Windows on Head Side with Bars, 3 Drop Windows on Hip, Mangers with 2 Exterior Doors and 2 Interior Doors. 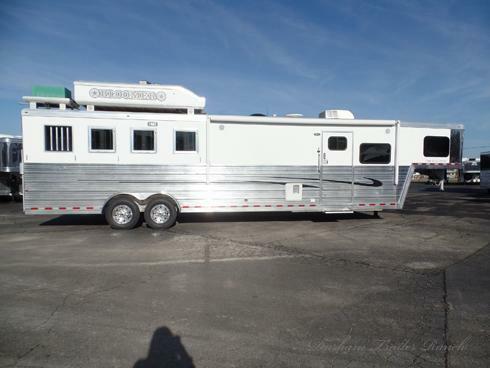 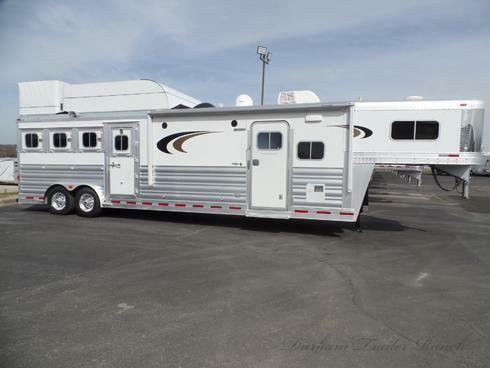 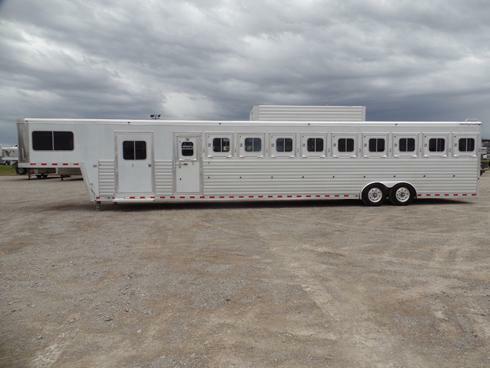 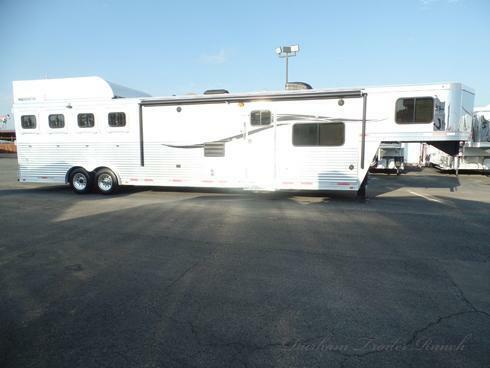 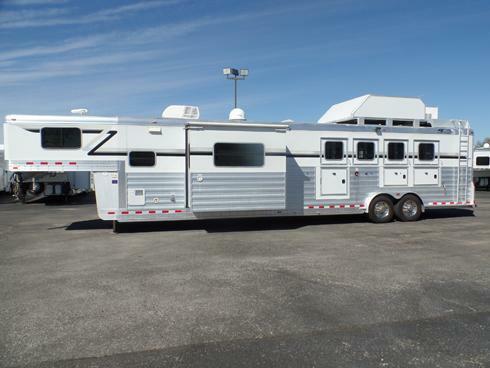 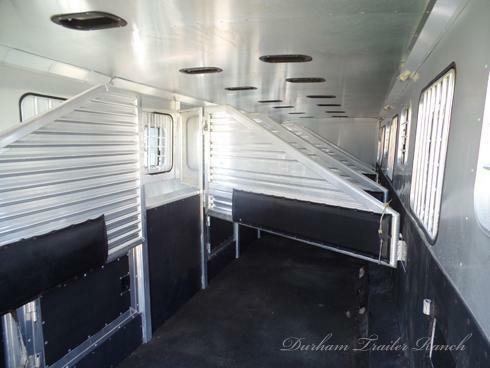 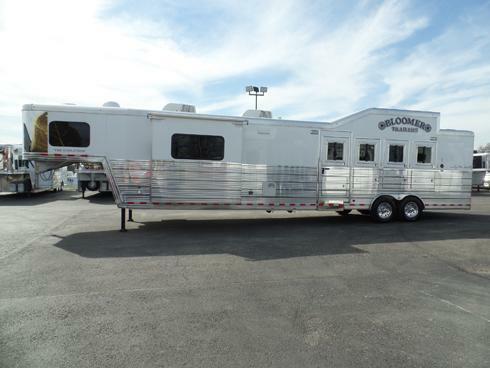 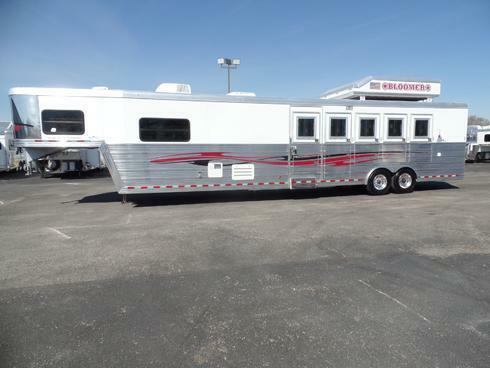 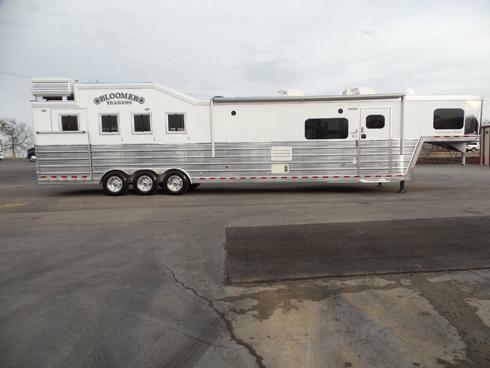 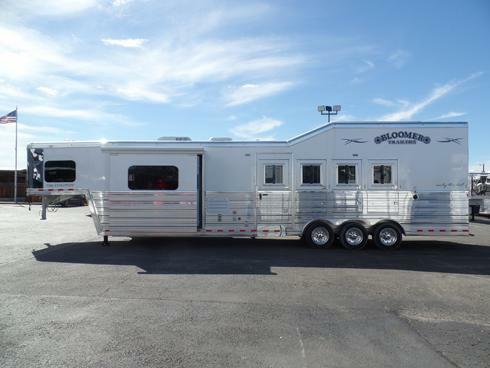 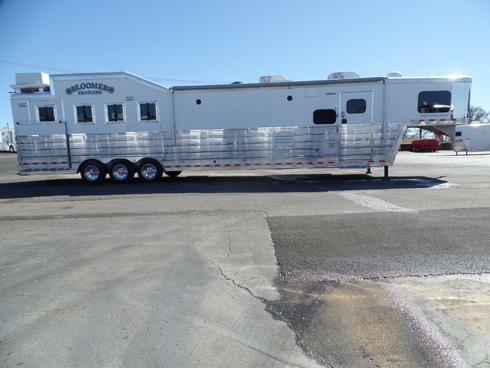 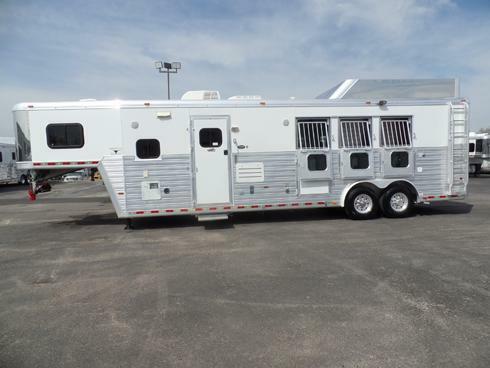 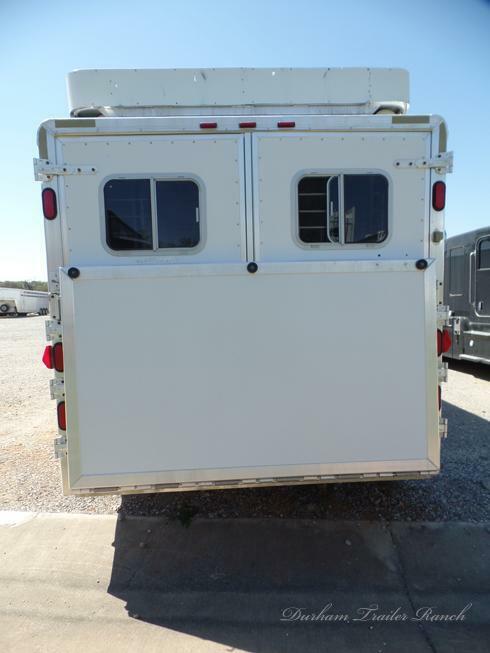 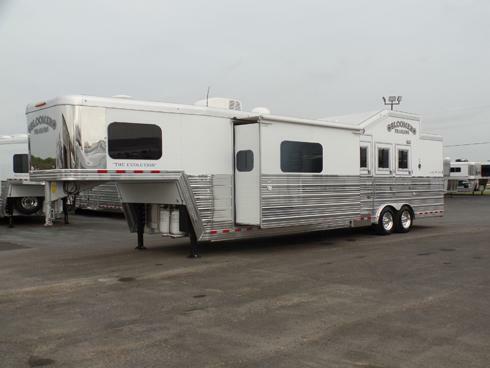 50/50 Collapsible Rear Tack, Werm Flooring, Lined/Insulated, 14 Vents Overhead, Solid Face and Wither Shields, Escape Door on Rear 1st Horse, and 5 Interior Dome Lights. 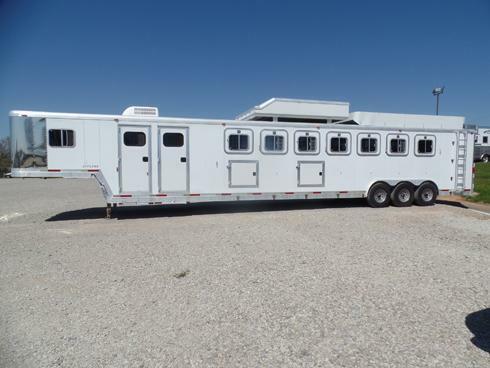 8' Hay Pod, 14' Hay Rack, Dual Jacks and King Pin Only Truck Set Up. 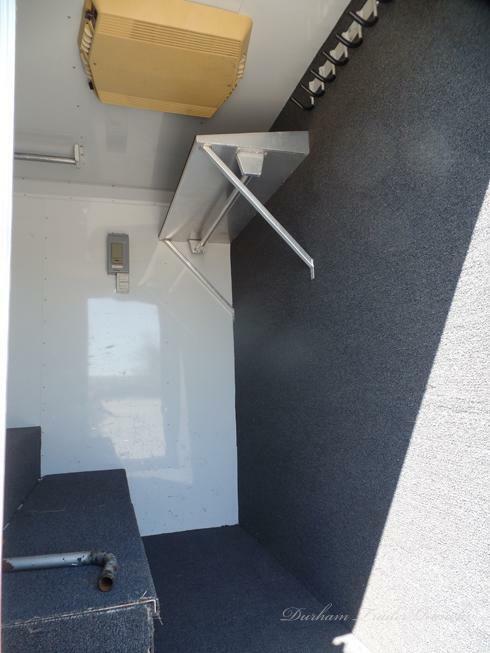 Triple 7K Torsion Axles, Electric/Hydraulic Disc Brakes and Battery Box. 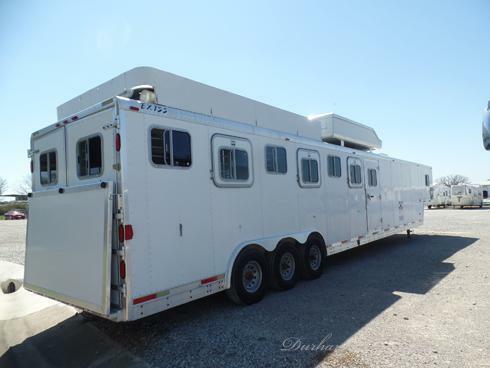 7' Tall, 8' Wide.